HFCS participates in the North Texas Reading Bee and the TLA Bluebonnet Reading Program. 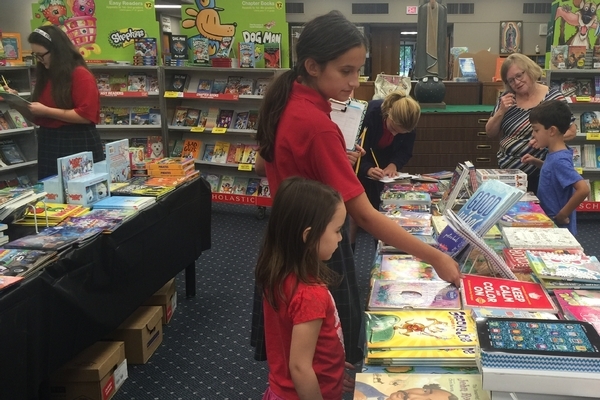 The HFCS Library sponsors a Scholastic Book Fair once a year. It is held in conjunction with our annual Grandparents Day in September. Mrs. Bergkamp works with HFCS teachers to engage the natural curiosity of students and guide them to become lifelong learners. Our library has 8,140 titles for research and reading. Kindergarten through 8th Grade have library time once a week. PreK-3 and PreK-4 have storytime once a week. The library houses an iPad cart with 25 iPads for student use in the library or the classroom. The students can access the library catalog, AR quizzes, reading and math programs, and Safari.